Seemingly random events can cause surprising discontinuities. Strategists commonly monitor bellicose national leaders, military arm-wrestling and armed provocation as the harbingers of strategic discontinuity. But, as Philip Bobbitt demonstrates so cogently in his Shield of Achilles , apparently disconnected events can have profound strategic consequences. When Martin Luther posted his 95 theses on the doors of the Schlosskirche in Wittenberg in 1517, no one could have imagined that, a century later, the Thirty Years War would decimate Europe’s population and eventually lead to the Peace of Westphalia—the progenitor of modern international relations. And did anyone advising George III on his ‘Proclamation of Rebellion’ in 1775 suggest that war against the pesky colonists—many of them members of religious splinter groups fleeing oppression—would create the preconditions for the world’s first superpower? So, should anyone be concerned about the VW crisis, and how it might pan out? Is it simply a ‘black swan’ moment, rationalised after the event as inevitable, or could it precipitate a series of significant and unpredictable transformative consequences? Corporate (and government) deceit is not new. At the corporate level, the banking sector has been enmeshed in scandal for over a decade. The Global Financial Crisis continues to reverberate through the international financial system, exacerbating the downward economic trend resulting from China’s economic slowdown. A cartel of major international banks, exploiting the fraudulent deals and insider-trading practices of their trading room operators, manipulated the Libor (London Inter-Bank Offered Rate) interest rates for the best part of a decade before the Libor crisis became public in 2014. At the government level, a number of European governments and central banks connived at the creative accounting that enabled Greece to evade the conditions of the Maastricht Treaty when it joined the Eurozone two years after the currency had been introduced. In some respects, the adoption of the euro was the triumph of hope over experience. Currency union without political union now seems rather more fraught than it appeared in 1999. And Europe, with its three-speed economy (the PIGS—Portugal, Italy, Greece and Spain—and the central Europeans in deep economic trouble, France struggling, and Germany currently propping up the entire system), is faced with high rates or unemployment, low productivity, growing political instability and, to make things even more interesting, the biggest refugee crisis in 70 years—a crisis that isn’t bringing out the best in everyone. Onto this scene crashes Volkswagen. While ‘everybody’s doing it ’ might explain the extensive gaming of fuel consumption and emissions regulations, the sheer scale of Volkswagen’s deceit has forced governments to act. The company has admitted that 11 million of its diesel passenger vehicles have been fitted with the software that falsifies emissions data under test conditions. The UK boasts 1.2 million these cars, while the US, with some 500,000, and has banned the sale of new VW diesel vehicles until 2016. So has Switzerland. As of the end of September 2015, VW’s share value has plunged by 40%. The CEO has been replaced, and is under investigation. While the company has a provision of €6.5 billion ($US 7.3 billion) for software rectification, it faces US punitive and exemplary penalties that could total $US 18 billion. 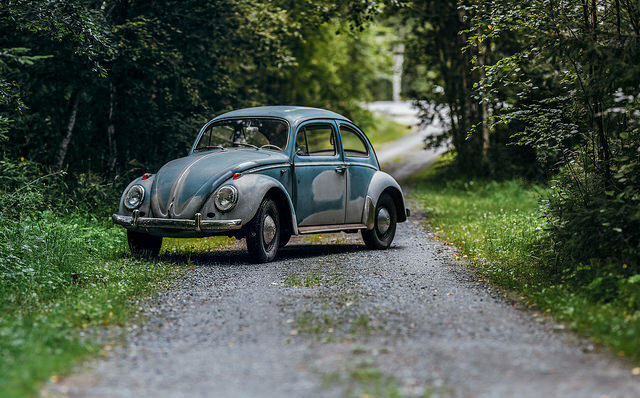 Moreover, class actions instituted by private and fleet buyers on the grounds of misleading advertising and the consequent loss in resale value could exacerbate VW’s woes. The company may be facing bankruptcy. A central government bailout is always possible, of course, though that may well depend on the extent of emissions data rigging across the entire German car industry. Besides the trashing of the VW brand and the consequent loss of value, the economic consequences may include the demise of the diesel engine in passenger vehicles and a more rapid transition to electric vehicles. And because of the widely held suspicions of systemic dishonesty among the other European diesel vehicle manufacturers, the VW crisis may well bring down other sections of the German and French car manufacturing industries. But what might the strategic consequences be? First, the VW crisis will inevitably be a severe hit to Europe’s balance of trade, particularly at a time when German vehicle manufacturing is the star export performer. But if VW is forced to file for bankruptcy, the impact on the balance of trade will be even more severe. If the Bundesbank is no longer able to prop up the economies of the PIGS, the southern European economies may well have no choice but to exit the euro zone, thereby imperiling the survival of the euro as a single currency and as the second major reserve currency. And this, in turn, threatens the very existence of the EU, already under threat from the right in the UK and France. There should be no misapprehension: a return to the pre-EU system of nation states in Europe would not be a return to the status quo ante. A reunified Germany has replaced France as the predominant European state: the political map would look more like that of 1890 than 1990. And what might happen to VW and its subsidiaries were it to go under? One might expect that its various financial operations (mostly managing the financing of VW leasing and sales) and brands (Audi, Skoda and SEAT) would be sold off, along with the associated factories, plant and IP. The unemployment and other social consequences in Saxony would certainly exacerbate the political instability that already infects the eastern and northern states of the federation. But perhaps more significantly, the sale of VW would offer China an unparalleled opportunity to acquire a hi-tech car industry that would not only permit Chinese dominance of global automotive manufacturing but also restructure global automobile exports. Allan Behm is a former head of the International Policy and Strategy Divisions in the Department of Defence. Image courtesy of Flickr user Joni Räsänen.